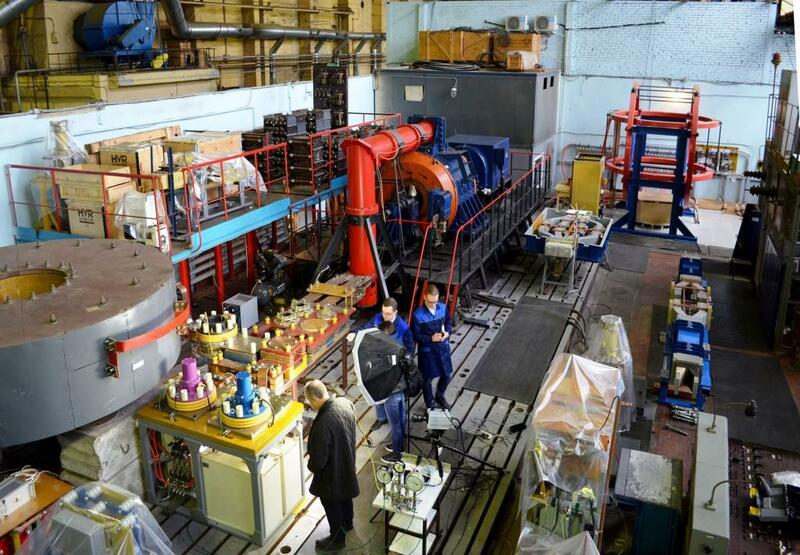 Since the signature of a Procurement Arrangement in 2011 with Russia for switching networks, fast discharge units, DC busbars and instrumentation—all key elements of the ITER power supply and superconducting magnetic protection system—specialists from the Efremov Institute in Saint Petersburg have carried out a broad pre-manufacturing campaign including R&D, prototype and testing. In the latest news, type tests have been successfully performed on another batch of equipment prototypes. The type tests, carried out over 10 days, demonstrated the full compliance of the prototypes with ITER requirements. One element of the latest test group—the local control cubicle—is expected for delivery before the end of the year. 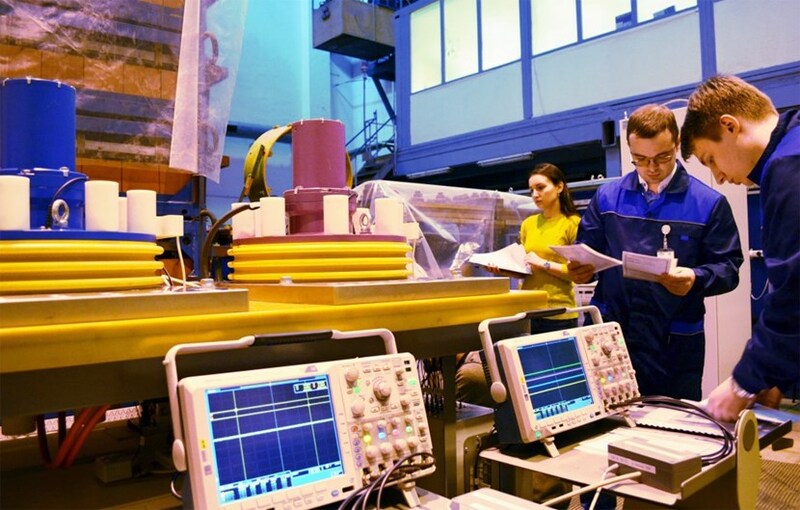 The power supply equipment procurement package signed by Russia comprises a large variety of electrotechnical components—many of them designed specifically for ITER by the Efremov Institute. 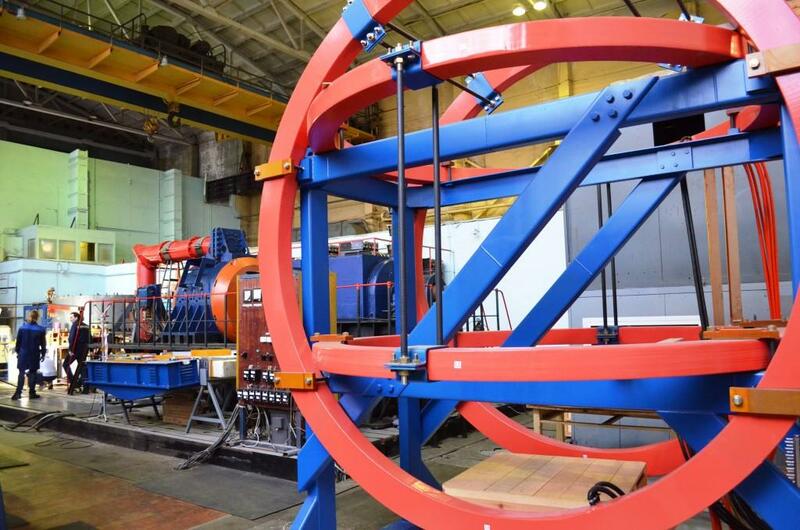 The R&D, fabrication and test campaign has been one of the most technically challenging, and expensive, of the 25 systems falling within the scope of Russia's responsibility to ITER. 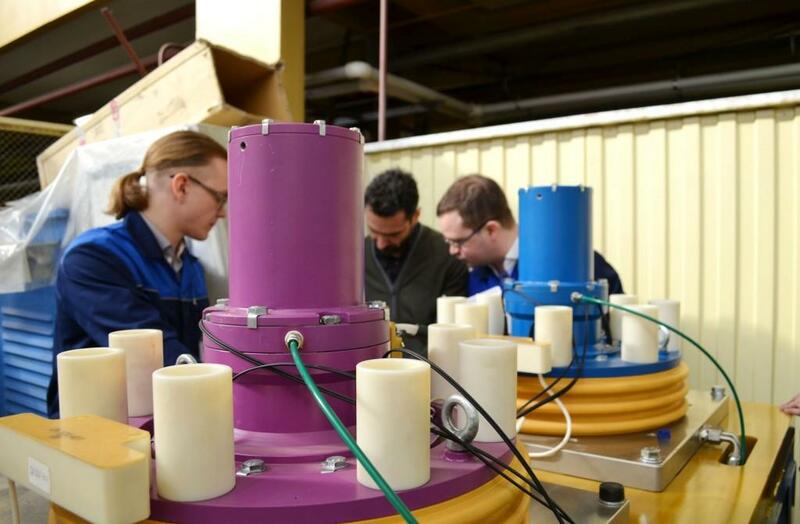 In late March, specialists from the Efremov Institute completed tests on prototypes of the bypass open switch, the counterpulse circuit for the toroidal field fast discharge unit, and the local control cubicle for the main circuit breaker of the switching network unit prototype. All of the tests were witnessed by a representative of the ITER Organization, technical responsible officer Francesco Milani. "The results demonstrated the high professionalism in the design and fabrication of one of the most sophisticated power supply systems. The majority of the elements belonging to this Procurement Arrangement are one-of-a-kind components; some of them (the fast discharge units for the toroidal field coils) also classify as PIC (protection-important) components and, as such, they are subject to the regulations imposed by the French Safety Authority. I have to underline that the Russian team is facing this challenge in a very competent way." The tests, which were completed in 10 days, demonstrated the full compliance of the prototypes with ITER requirements. This opens the way to integration tests with other components, final design reviews and manufacturing readiness reviews. One element of the latest test group—the local control cubicle—is expected for delivery before the end of the year. Manufacturing is already underway for part of the package (busbars, tested in 2014, and switching network resistors, tested in 2015). Equipment deliveries have been underway since 2015. The delivery of all system components under this Procurement Arrangement must be completed by 2023. Key elements of the procurement package for switching networks, fast discharge units, DC busbars and instrumentation are tested at the Efremov Institute in Saint Petersburg. Pictured: the bypass open switch at a test stand for peak withstand current. A broad pre-manufacturing campaign including R&D, prototype and testing has been necessary to finalize the wide variety of electrotechnical components that make up the switching networks, fast discharge units, DC busbars and instrumentation procurement package. Pictured at the Efremov test facility: a stand for DC magnetic field qualification (right) and a uniporal generator (left). 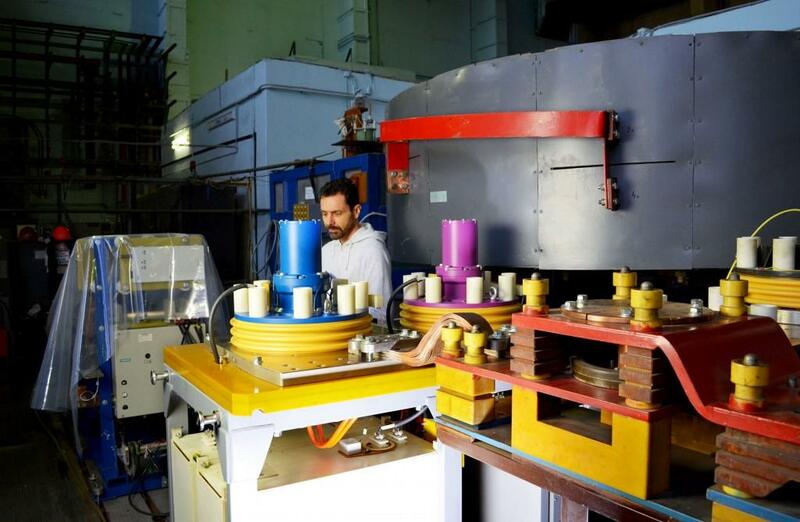 Aluminium busbars—the components that connect the superconducting magnets with their power supply—are seen here at different stages of the manufacturing process. The first busbar shipments have already reached ITER. 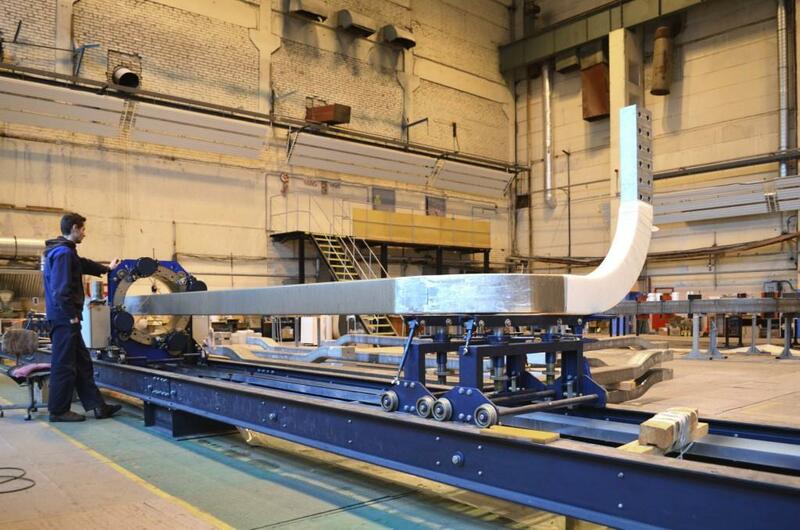 This bended aluminium busbar is destined for ITER's coil power supply system. 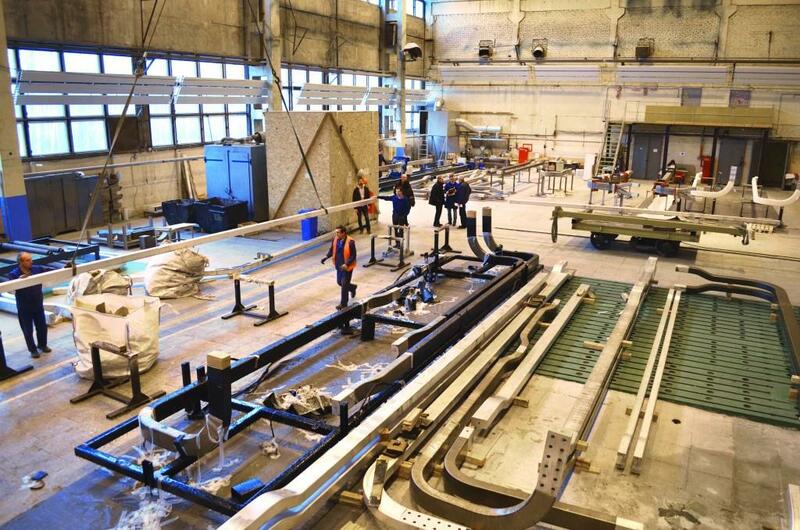 The Efremov Institute will manufacture and deliver approximately 5.4 km of busbars (over 500 tonnes) to ITER. This time, the bypass open switch is about to pass the impulse voltage test. Operators are checking the calibration certificates for the test equipment.